The mission of the College Counseling Department is to nurture, guide and advocate for our students and families as they prepare for college, career, and life after high school. Counselors begin your college plan the day you register and will work with you through graduation. Students are accepted to top schools such as Yale, USC, Dartmouth, Cal Tech, UC Berkeley, New York University, Carnegie Mellon, Rhode Island School of Design, and Emerson, as well as excellent Christian schools such as Wheaton, Baylor, and Calvin College. MHS alumni are not only book smart, but also have the propensity to change the world. 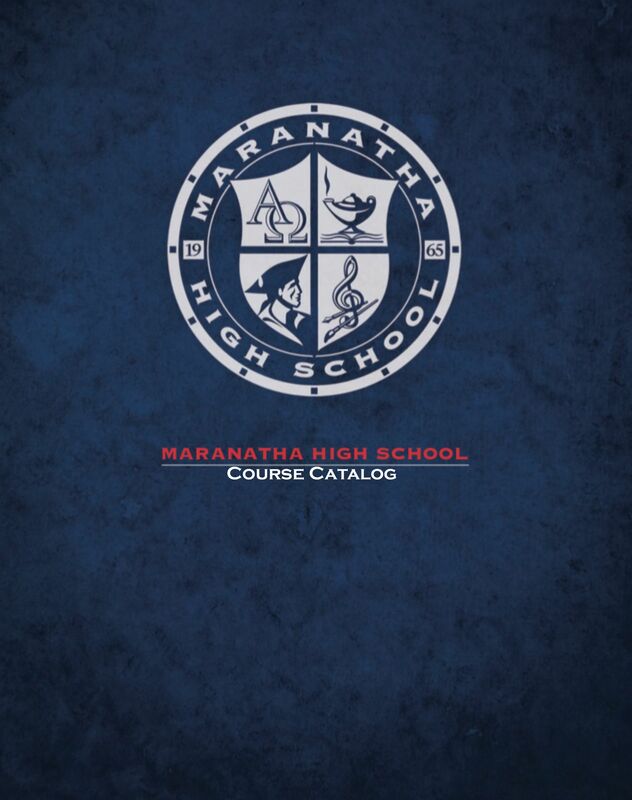 Even before the first year of attendance at Maranatha High School, a personal four-year academic plan is developed in preparation for four-year colleges and universities. This four-year plan gives students and families a road map of which courses will make them eligible and highly competitive for various categories of colleges and universities. Each year, this four-year plan will be revisited with students and families to ensure adequate preparation. Additionally, our College Counseling Office provides evening workshops for parents and students of each class to walk families through the process on an anual basis and ensure they are meeting their goals along the way. Counselors also set up college planning sessions with students individually each year to review the student’s academic profile, community service, and test scores and assist in the identification of specific schools where admissions applications will be submitted. Maranatha views the college process as more of a "match to be made" than a "prize to be won". Each student is unique and will identify the college that best fits their educational and career desires and personality. Students are encouraged to visit colleges and universities throughout their high school years. Only Seniors and second-semester Juniors are allowed to miss class to do so. Approval must be arranged through the Guidance and College Counseling Department and cleared with their current teachers at least two school days prior to the visit. The parent and/or student must also notify the Attendance Office of the planned absence. A student is allowed three approved college visits per academic year. During scheduling, be sure to choose classes that will meet college entrance requirements. Be sure to finalize your schedule making certain that you have all the classes you need to graduate and to meet college entrance requirements. Begin to finalize your college list, request applications if they are not available online. For students experiencing academic difficulties, the first step should be to talk with your teachers one-on-one to see what they recommend for you personally. Also, find out when your teacher is available to help you outside of class and make it a priority to go to those sessions. Second, take advantage of MHS peer tutoring or arrange with your parents to get outside tutoring. Referrals are available in the Guidance and College Counseling Office or see attached for a condensed list of resources: Tutoring and test resources (PDF). Third, take a look at your study skills. Are you spending adequate time on homework and preparing for tests? Do you use study strategies like creating note cards, outlining the text, or drafting an outline for an essay before you begin writing? As always, the Guidance and College Counseling Office is available to assist students who are struggling academically. Please contact your Guidance Counselor for assistance: (626) 817-4031. Free tutoring is available to all students in all subject areas. To set up a session, students should locate the list of NHS tutors on the first floor of the Academic Center, find someone who tutors in their area of need, and contact that tutor using the information listed. This requires initiative and follow-up by the student seeking tutoring but can be a valuable experience. Work smarter, not just harder! Organize and schedule study time. You are in control of results so plan ahead. Create a study atmosphere free from distractions. Supply the area with all needed materials. Actively read by first surveying the table of contents, pictures, captions, graphs, charts, etc. Write down several questions about the surveyed content. Read with the intent of discovering the answers to the posed questions. Recall the content by writing answers to the posed questions or developing an outline of the content. Review the written notes, question responses and the outline. Write with a purpose and make a point. Write with clarity and be specific. Write logically and make sense. Write with accuracy of content. Write with precision and use words wisely and well. Write within the rules and follow the rubric requirements. Write your own paper; plagiarism is stealing. 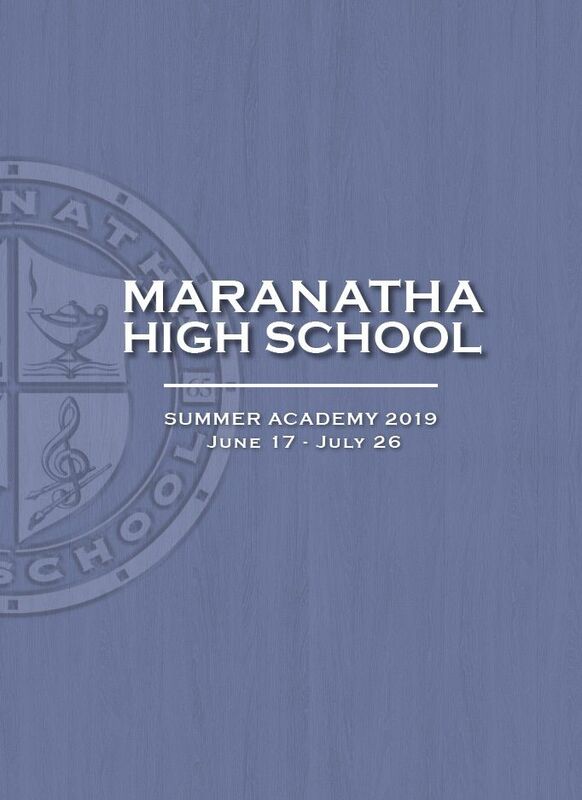 Colleges and universities from across the nation visit Maranatha each year, giving our students an opportunity to talk to an admissions counselor and explore their college options. View our Calendar to learn which schools are coming to campus soon.